Travelex is a partner of AardvarkCompare. We showcase its Basic, Select and Max Travel Insurance Products. For more than 55 years, Travelex has been helping protect travel investments. Its staff are among the most experienced in the industry. 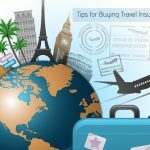 Protecting your trip investment is the number one priority for travel insurance. Travelex takes it a step further by not only offering protection from trip cancellations and medical emergencies, but also looking after your personal belongings. Its trip insurance offers reimbursement for lost, damaged or stolen luggage and belongings. It also provides you with assistance in replacing lost prescriptions, passports or important documentation you need while away. Sometimes cancelling a trip is inevitable. Accidents, injuries, loss of employment, sickness or even death of a loved one are all things that might keep you home. Travelex Travel Insurance will cover you for cancelling for a multitude of reasons. It even has Cancel For Any Reason cover that can be made available for travelers whose status might be questionable. Its comprehensive travel insurance anticipates the needs of its customers to help them build their plan and protect their travel investment. Does your medical insurance cover you while traveling abroad? All Travelex plans offer reimbursement for emergency medical expenses while traveling and will even provide evacuation to the nearest adequate hospital. In addition, cover provided on most Travelex plans is primary with no deductibles. Any number of things may cause you to be delayed, resulting in unexpected travel expenses. Travelex offers plans with cover for trip delay and baggage delay, providing reimbursement for unplanned expenses and additional costs. Some plans offer trip cancellation and interruption cover if you miss over 50% of your trip due to the delay. Hurricanes, floods and other inclement weather may keep you from your vacation. 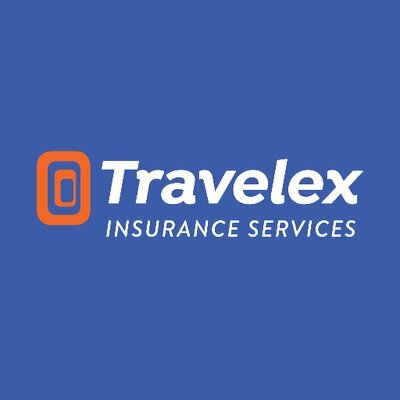 Most Travelex travel insurance plans can prevent you from losing your travel investment by providing protection for events like a traffic accident while en route to your departure or the shutdown of all transportation services causing you to miss your departure. Have you recently sought medical care or treatment for new symptoms? Had any changes in medications? Your pre-existing condition can be eligible for cover with most Travelex travel insurance plans if the plan is purchased within 14-30 days (depending on the plan) of your initial trip deposit. Additional requirements vary per plan. Travelex helps you find your way more easily with travel assistance and concierge services included in every travel insurance plan. Simply call a 24/7 toll-free number to receive assistance with medical emergencies, lost items such as passports and luggage, destination information and advice, event ticketing and much more. 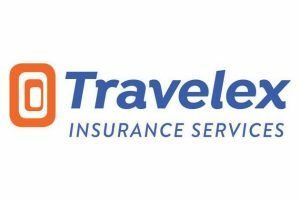 Let’s take a look at the Travelex Trip Insurance plans. Travel Basic provides essential trip protection for the budget-conscious traveler. This plan is perfect for short, domestic vacations. This competitive cover provides necessary safeguards to ensure the trip investment is protected against the unexpected. Travel Basic provides you with a wide range of covered reasons for Trip Cancellation, as well as extensive post-departure cover to help protect you while you’re away. Traveling creates memories that can last a lifetime. Gain peace of mind by purchasing the right travel insurance to protect your trip investment from unexpected events. Customizable travel protection to match your lifestyle with the ability to choose from an array of upgrades. This plan has an option for all types of trips and travelers. A family friendly plan, Travel Select provides travel protection cover for children under 21 at no additional cost when accompanied by a covered adult family member. Enhance your family protection by customizing with the “Active Family Pak” upgrade. This Lifestyle Pak makes traveling with a family easier with coverage for child-care cancellation, movie rental reimbursement for overnight delays, medical protection for traveling pets and more. In addition to family friendly travel protection cover, Travel Select offers the optional “Adventurer Plus Pak” upgrade for daring travelers who participate in activities like mountain climbing or parasailing. Finally for the traveling professional, the optional “Professional Pak” upgrade provides additional reasons for reimbursement due to work-related cancellation or interruption reasons. This optional business travel upgrade also offers protection for professional equipment. Travelex Max was discontinued after November 2017. However, we retain the plan information to support those customers who had purchased a policy prior to the discontinuation. Luxury protection for complete coverage, showcasing unique benefits such as pet medical cover, sports equipment rental and cancellation due to business reasons all included in the base plan. The Travel Max plan offers travelers a substantial amount of cover designed specifically for Emergency Medical Expenses and Medical Evacuation. This makes it an ideal international travel protection plan. Finally, Travel Max has many built-in benefits that are typically found as upgrades on the Travel Select and Travel Basic plans. 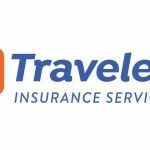 What if I have questions regarding the benefits of a Travelex Travel insurance plan? Contact the Travelex customer service department, which would be happy to assist you in understanding the plan details of travel insurance and each of our offered plans. You may reach the customer service department at 1-800-228-9792, Monday – Friday, 8:00 a.m. to 7:00 p.m. CST. What is First Payer Coverage? Why does it matter? Some of Travelex’s plans provide First Payer Coverage with no deductible for easy claims handling, less time and hassle to receive reimbursement for eligible losses from Travelex first. Funds may be recovered from your medical or other collectible insurance plans. 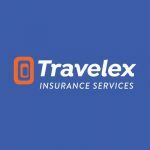 Why should I purchase a Travelex Travel Protection Plan when I have other coverage? What is the difference? Emergencies happen when you least expect it. Travelex combines travel insurance cover and travel assistance services into a packaged protection plan that helps protect both you and your trip investment – before and during your trip. This cover can protect you against losing your travel investment to travel suppliers, like cruise lines and tour operators, if you should cancel within their non-refundable cancellation period. 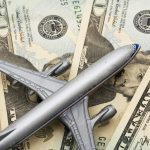 Credit card insurance policies may protect you for flight accidents, car rental damage or for accidental death while traveling, but this protection is usually only offered to you when you purchase your tickets with that particular credit card. Many HMOs and PPOs offer limited cover when traveling outside your networks. Medicare supplement benefits also need to be reviewed to determine their exact benefits or lack of benefits when traveling. Please note: You may already have cover that provides similar benefits and you may wish to compare the terms of this cover with your existing cover. If you have questions about your current cover, call your insurer or agent. 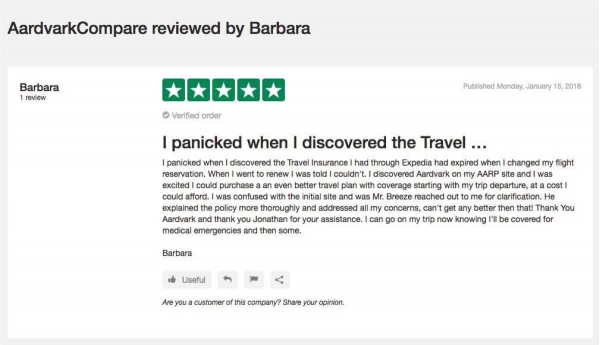 A travel retailer is not qualified to compare or answer questions about the benefits, exclusions or conditions of other insurance policies. Why is Trip Cancellation and Trip Interruption protection important? 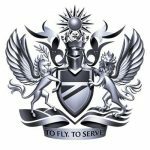 All travel suppliers, whether they are tour operators, hotels, travel agencies, cruise lines or airlines, have cancellation penalties. You pay a deposit or final payment toward a trip and these suppliers will apply their published penalties to your trip. You will find the published penalties more severe as your scheduled departure date gets closer. These published penalties inform you that if you cancel, the supplier will hold all or a large percentage of your monies placed as down payment, deposit or final payment. You will lose this money. Trip Cancellation and Interruption is designed to reimburse you for your loss if you cancel or interrupt for a covered reason. Yes, you can choose a plan that excludes this cover but still includes a full range of benefits to protect you during your trip, including cover for: trip delay, emergency medical, medical evacuation / repatriation, baggage and baggage delay, and more! 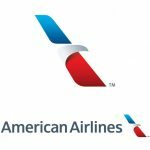 What happens if I purchase a protection plan and need to make changes (trip cost, dates, etc.)? Simply call Travelex prior to your departure date and we will happily make any changes. Please refer to your confirmation of cover for the appropriate phone number to call. Yes, Travelex will refund your plan cost (minus the processing fee) if you are not completely satisfied within 10 calendar days of purchase, provided you have not departed or filed a claim. Will I receive an insurance card to carry with me after I purchase? You will receive a Confirmation of Coverage and applicable plan documents, Description of Coverage via e-mail. The Confirmation of Coverage will include travel assistance phone numbers to call in case of emergency. The Description of Coverage will provide a summary of the plan details including benefits, conditions, limitations and exclusions. You should take both your Confirmation of Coverage and Description of Coverage with you while you travel in case of an emergency. You may also want to print your Travel Assistance calling information if traveling abroad. This is a general explanation. Certain conditions, limitations and exclusions apply as outlined in the applicable certificate. If you still have questions, please call Travelex customer service department at 1-800-228-9792.